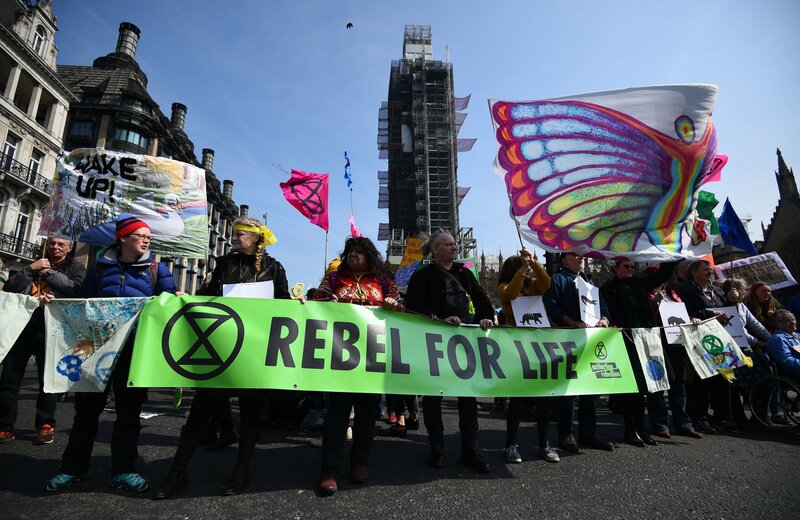 London [UK], Apr 16 (ANI): Scores of protesters took to the streets across London on Monday (local time), demanding the government to “take decisive action on the climate and ecological emergency,” playing out around the world at the moment. “I’ve come to force the government to tell the truth about climate change, the extent of the damage … it’s about priorities: fossil fuel industries, the banks, the businesses, everybody — it’s not in everyone’s interest to go carbon neutral,” one of the protesters told CNN. “I’m here for my children, I’ve lived my life but I want them to live a normal life, and they might not have a chance to,” she added. “For 30 years people have known the signs of what’s happening with the climate, with the ecological crisis, nothing’s been done. 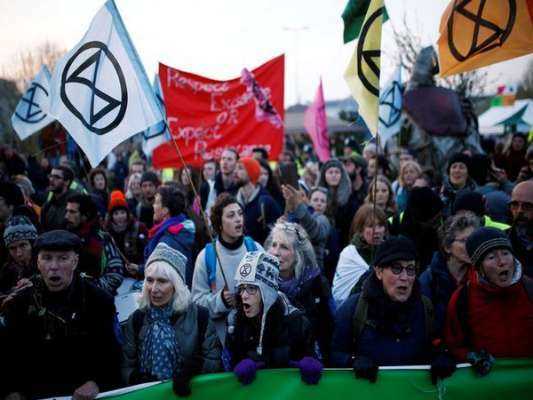 We’ve tried writing letters, we’ve tried voting with our feet, we’ve tried campaigning in all the usual institutional ways, nothing’s worked, emissions keep going up year on year and so this is the last thing we can think of,” Mark Ovland, another one of the protesters said. 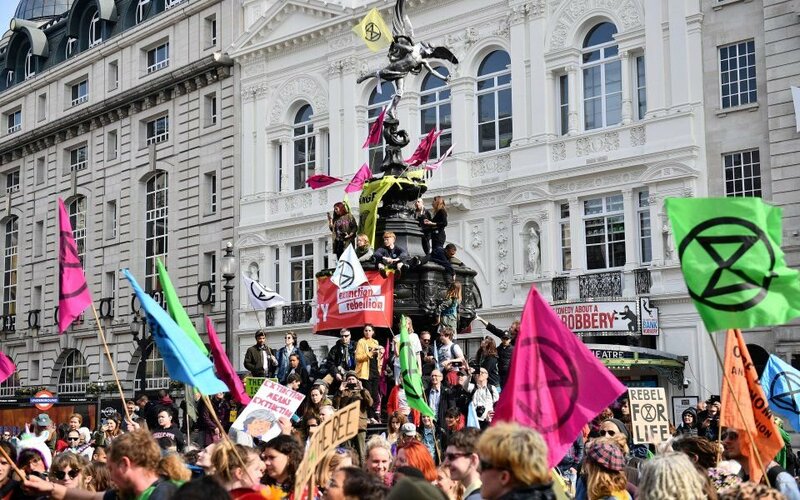 Around 400 peaceful climate change protesters have been arrested in the UK over the past three days.According to the Metropolitan Police Service, 290 protesters at Oxford Circus, Marble Arch, Piccadilly Circus and Parliament Square were taken into custody in London on Monday and Tuesday. Protests in the Scottish capital Edinburgh led to 29 arrests.